Exercise is any formal workout. 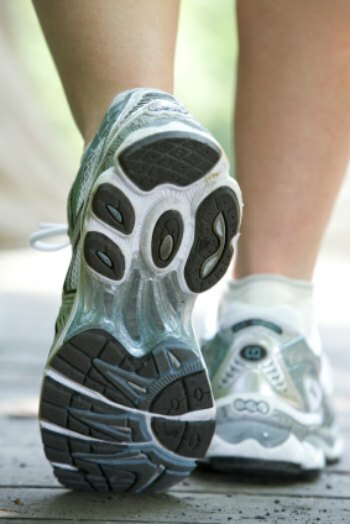 It can be as simple as a brisk walk or as complex as a full body weight training session. Exercising burns extra calories. When your body uses more calories than it takes in, you will lose weight. All you really need to do is put one foot in front of the other to get started. Don't Want to Go to the Gym? Find ways to work out smarter -- and harder. There's one ab exercise you can do while grocery shopping, giving a presentation at work, sitting on the bus, walking down the street - really, anywhere, anytime. 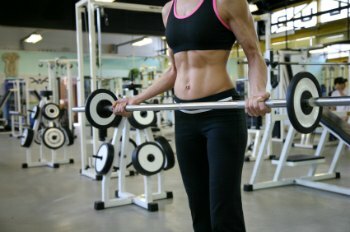 What are Weight Training and Strength Training? Weight training -- also known as strength or resistance training -- focuses on building and strengthening your muscles by using resistance. Aim for 2 to 3 strength training sessions per week, lifting weights heavy enough to fatigue the muscles (or a few reps before). Beginners can start with one set of 8 to 10 exercises that covers all the muscle groups: legs, hips, back, abdomen, chest, shoulders, and arms. When it comes to weight loss you may have wondered how often to exercise. Do you have to work out every single day, or should you allow a day or two of rest in between? And does it differ when you're doing cardio workouts or weight training workouts? 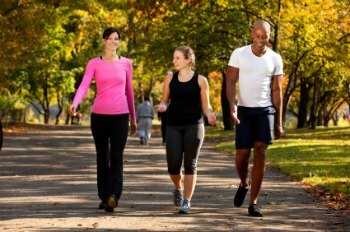 Walking is one of the easiest ways you can start incorporating fitness into your life and make progress towards your weight loss goals. It's easy to do and very low impact, making it a great option for almost everyone. Did you know that the most stressful environment to exercise in is a hot and humid environment? The problem is that your body can't cool down properly when it's humid. When that happens the chance of heat exhaustion or heat stroke becomes very real. If you're overweight, unfit or older you may be even more heat-sensitive. And all that heat puts an extra strain on your heart. Also known as cardiorespiratory training or cardiorespiratory exercise, cardio exercises focus on getting your heart rate up from its normal resting state. This not only strengthens the function of the heart and its ability to deliver oxygen from the lungs to the rest of the body, but it burns extra calories you wouldn't normally burn if you were at rest. Walking, biking, and running are good examples of cardio exercises. Cardio usually involves moving the large muscle groups, such as the legs. Aim for 2 hours and 30 minutes (150 minutes) of moderate-intensity aerobic activity (i.e., brisk walking) every week. Circuit Training: The Best Way To Burn Calories? Explore awesome tips and strategies to not only start exercising but to keep exercising -- and do it more effectively. Yoga exercises help you strengthen your body, make it more flexible, calm your mind and give you energy. Stretching exercises helps elongate the muscle and connective tissues and can help relax muscles after exercising. When your body is flexible, you're able to have complete range of motion, making it easier to move your body, whether you're exercising or performing everyday tasks, like reaching up to a high shelf. Keep your body flexible by performing stretching exercises before and after exercise. You can also stretch at other times by doing yoga or stretching on your own (make sure you warm up first). It's a key element that people forget. Strength without flexibility can lead to injuries. Stretch at least 2 to 3 times a week minimum and up to 5 to 7 times a week, ideally. Stretch all muscle groups for 15 to 30 seconds per rep. The ideal time to stretch is right after a cardio workout. It's no secret that running is a highly beneficial form of exercise. It provides a great workout for weight loss, toning and cardiac health. But many of us can't run across the front yard without getting winded. 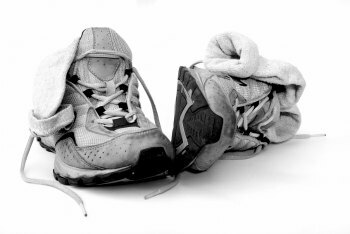 This often leads to the mistaken belief that we just can't be successful runners. 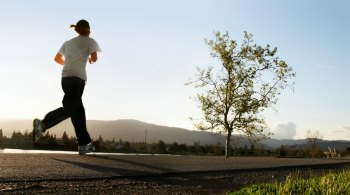 The truth is, almost anyone who can walk can run for exercise.